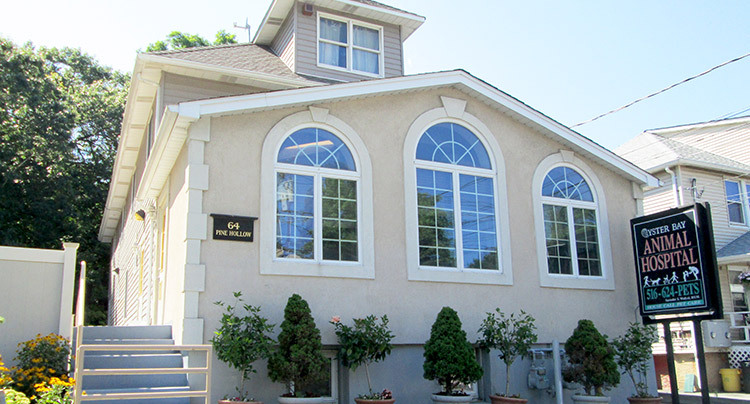 Oyster Bay Animal Hospital - Meet the other member of the West Hills family! Oyster Bay Animal Hospital is located in Oyster Bay, New York and is a satellite animal hospital of West Hills Animal Hospital & Emergency Center in Huntington, New York. This partnership allows us to provide you with high quality veterinary care day or night, when you need it most. Our mission is to provide compassionate veterinary care that addresses wellness at all levels. In addition to treating physical conditions, our veterinarians believe in strengthening the emotional bonds between the pet and owner to keep our patients happy and healthy. For more information, please visit us at our Oyster Bay Animal Hospital website.